Located in the heart of Venice’s stunning Piazza San Marco, the Cafe Florian is a Venetian institution that has been “the” place to see-and-be-seen for decades. The outdoor terrace is as popular with first-timers visitors to Venice as it is with seasoned locals, where you can settle in to the sounds of the restaurant’s serenading orchestra playing classics from Edith Piaf to Frank Sinatra. Renowned for having one of the most expensive drink menus in town, expect €12 euro coffees and €25 euro cocktails here, with an added mandatory €10 surcharge for the pleasure of hearing the orchestra. Even if you only do it once, the views are unparalleled giving you a prime front row view of the highly entertaining passing parade of Piazza San Marco. For a more intimate late-night drink, head indoors to Cafe Florian’s glamorous indoor bar replete with gilded mirrors, ornate ceilings and plush red velvet lounges. 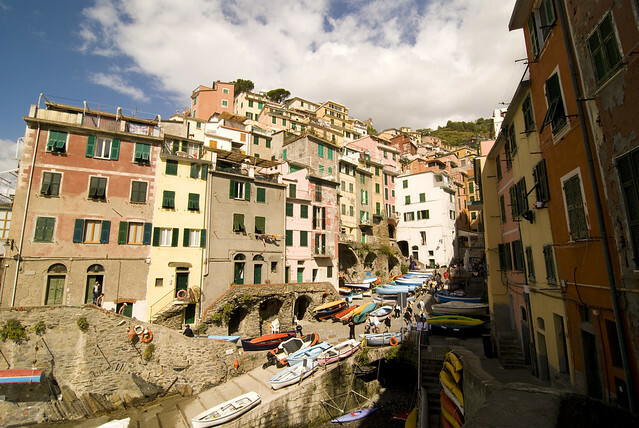 Cinque Terre will always be remembered as the most picturesque coastline you have seen in your life.